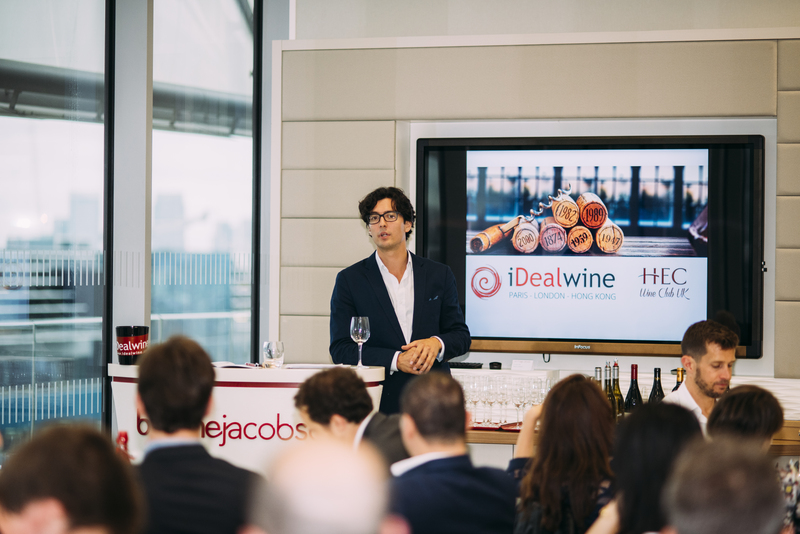 Last week, iDealwine organised in collaboration with HEC Wine Club UK, a masterclass in the City centre of London. 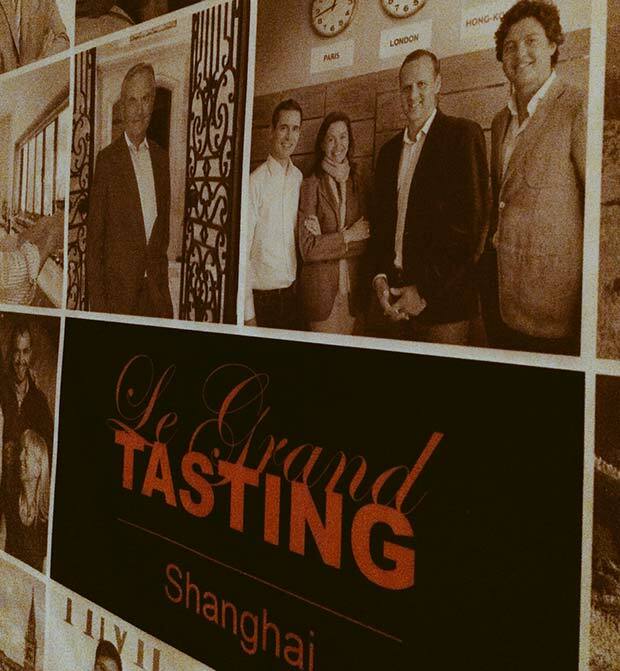 About thirty guests, mainly from the Parisian Business School, attended this event, at the top in terms of wines and height. Little summary of the evening, to make you (re)live the moment. Enjoy! 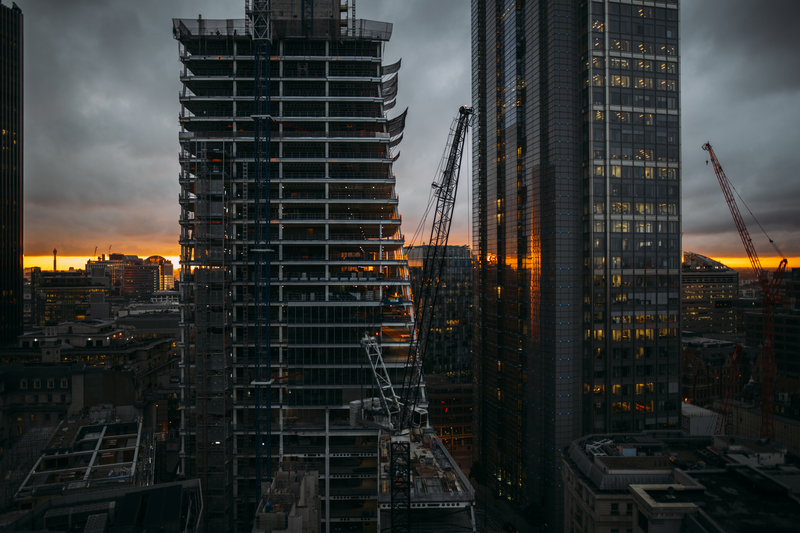 After taking a lift to the 16th floor, we arrived in the offices of the law firm Browne Jacobson offices, offering a wonderful view on the City towers. As the sun goes down on the buildings at about 9pm, they are all coloured of a wonderful orange/red tone. This even makes Arthur de Lencquesaing, in charge of iDealwine international development, stop his speech, asking everybody to turn around to admire this view. One of life’s pleasures, especially when wine is part of it. A Tour de France ends, another starts. 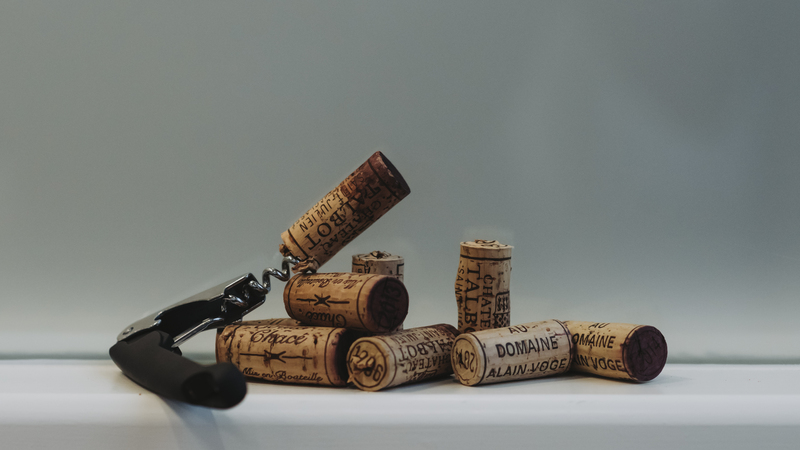 As English cyclist Christopher Froome won Tour de France last week, we decided to travel through French wines, putting forward the different terroirs, grape varieties and vintages. 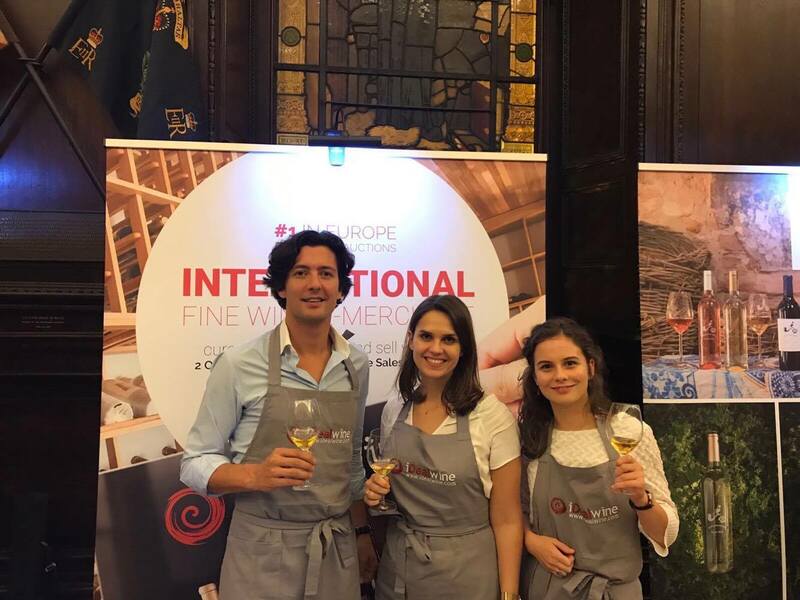 The iDealwine Barometer 2017 was handed out to all participants, giving them the opportunity to read the trends of the current year, whilst reminding that iDealwine is not a speculation vehicle, but aims at promoting wine for wine lovers. 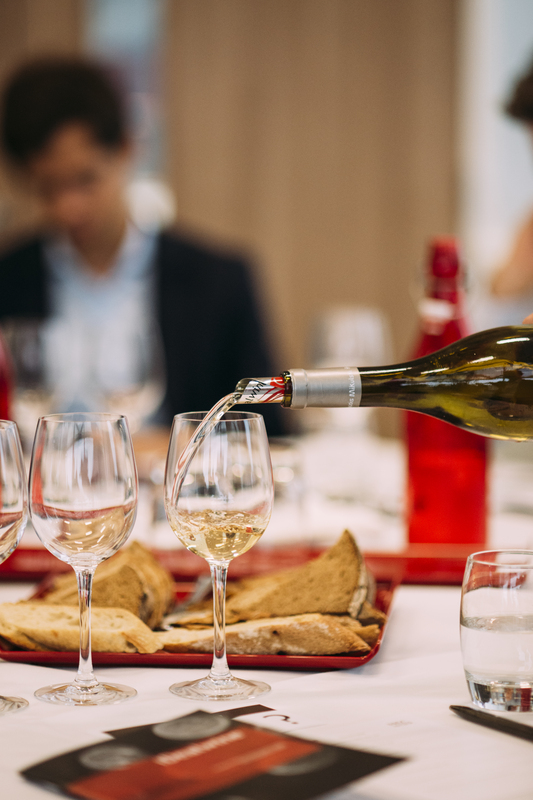 Starting with a white Burgundy Chardonnay makes everyone agree, that François Mikulski with his Meursault 2014 cuvée, perfectly managed to balance roundness and acidity. Although this domain does not have any certification, organic principles are applied to achieve purity, salinity, elegance. Domaine François Mikulski is not one of the most famous wines of Burgundy, but it completely fulfils its promises. The Meursault village 2014 tasted this time, comes from a variety of Meursault parcels. Burgundy is meeting great success at the moment, boasting excellent auction results for the first half of 2017. This region represents 36% of the lots sold at auction in value, which is an increasing share compared to 2016 (24% of auction value over the whole year). 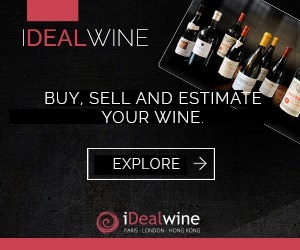 This region also records the most expensive lot and bottle sold at auction with Romanée-Conti 1990 for €15,240 and a lot of 6 bottles of the 2012 vintage for €19,320. Vin Jaune, vin de Paille, no, it’s a Côtes du Jura! 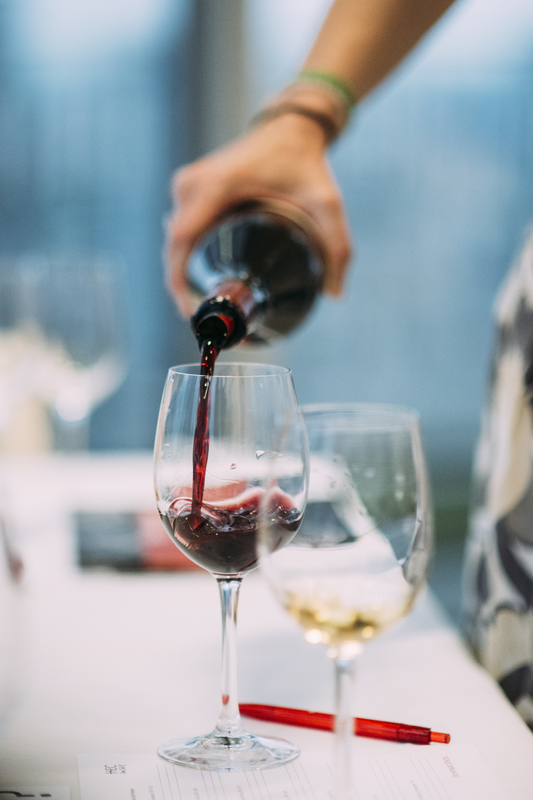 This wine was tasted blind and several people recognised the grape variety and the region, which is quite complicated, when you are not used to tasting such wines. This Côtes du Jura from Jean Macle 2012 composed of 85% Chardonnay and 15% Savagnin is a renowned bottle for the region. Its nutty taste is characteristic of these oxidative wines. Jura has a sudden price rise at auction recently, counting for less than 1% of iDealwine’s auctions in value for the first-half of 2017. Due to a trend from New-York, domains like Overnoy, Ganevat and Macle now sell like hot cakes, increasing prices tremendously. For example, Domaine Overnoy Arbois Pupillin Savagnin 1999, sold for €264, recording an increase of +75%. Domaine du Collier La Ripaille 2013 is a 100%-Cabernet-Franc red wine, still quite straight and closed, which could do with a few years of maturing still. This domain from Chacé in Saumur is brilliantly managed by Antoine Foucault since 1999. He is the son of Charly Foucault and nephew of Nady Foucault, both ex-owners of Clos Rougeard sold recently to the Bouygues brothers. 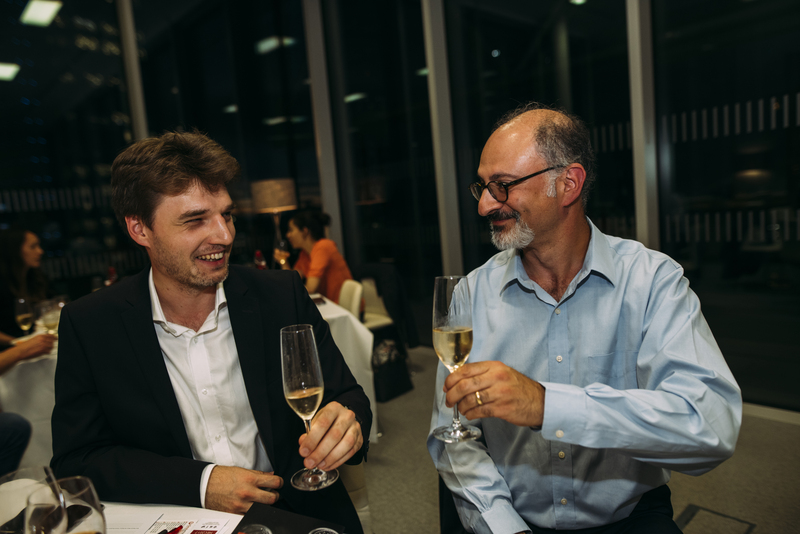 Antoine Foucault also contributed to the recent cuvées from Clos Rougeard, which record historical prices, like the Saumur Champigny Le Bourg sold at €447. 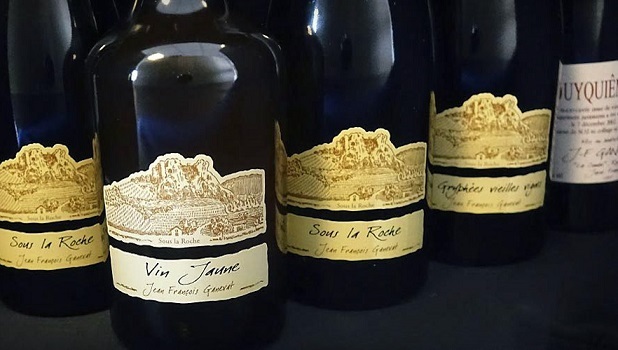 The cuvées from Domaine du Collier are a wonderful first approach and a great value for money, if you don’t want to ruin yourself with a Clos Rougeard. Of course, Rhône rimes with Syrah, and we made it rime with Cornas, tasting a 100% Syrah from Alain Voge. 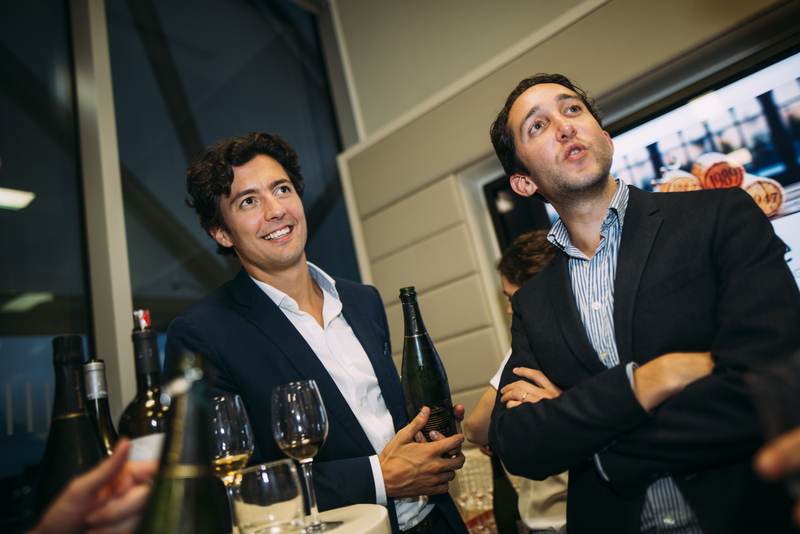 This cuvée named Les Chailles was the favourite wine tasted for many people at the masterclass. It was velvety, spicy and full of character. This domain is organic certified and covers 12 hectares of the North Rhône on plots of Cornas, Saint-Peray and Saint-Joseph. 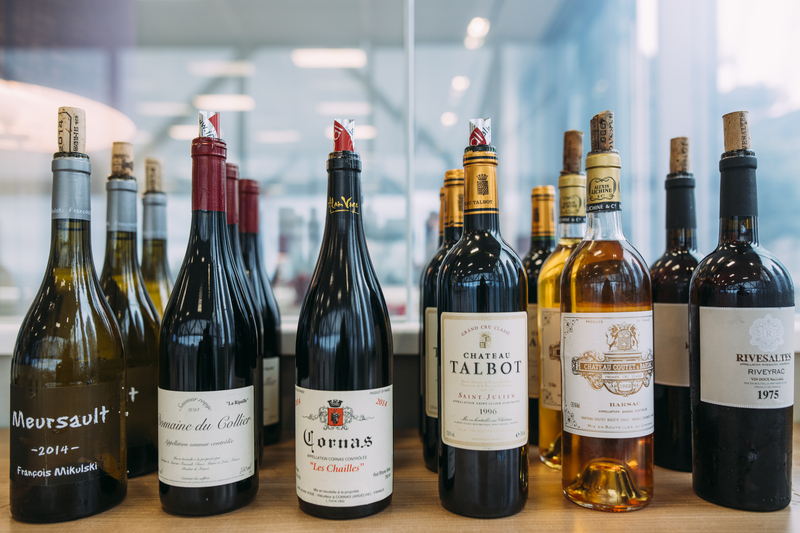 The Rhône is the third most sold region at auction, after Bordeaux and Burgundy and has recorded the strongest WineDex index increase over the last twelve months (+9.42%). Iconic appellations such as Châteauneuf, Côte-Rôtie and Hermitage marked with rarity, fuel this exponential growth. In 2016, Paul Jaboulet Ainé Hermitage La Chapelle 1961 was the most expensive bottle sold at auction, going under the hammer for €13,320. Guigal also met great success with its LaLaLa (La Mouline, La Turque, La Landonne) and continues to expand, purchasing Domaine de Nalys in Chateauneuf, conquering thus the South of the Rhône. Classic region, with stunning wines, although recently often criticised, “Bordeaux Bashing” seems now to come to an end, and this bottle should support this trend, showing how Grands Crus still have a lot to offer. Chateau Talbot 1996, with its lovely amber colour, reflecting its age, was tasted at, what seemed to be, its peak. The different grapes (70% Cabernet-Sauvignon, 20% Merlot, 5% Petit-Verdot, 5% Cabernet-Franc) give a strong structure, with animal and leather notes, and an impressive length to this wine. 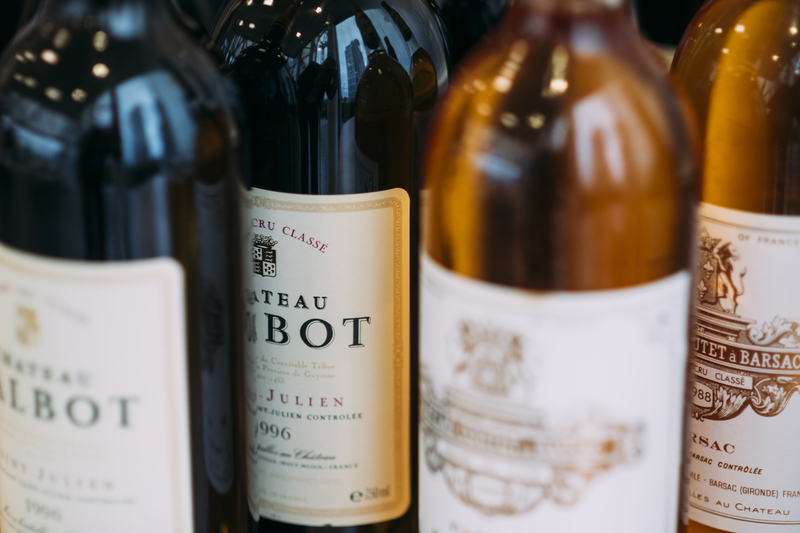 Bordeaux wines remain a secure investment as it is the most sold region at auction up until now, although its share is declining in favour of lesser regions like Languedoc or Jura. 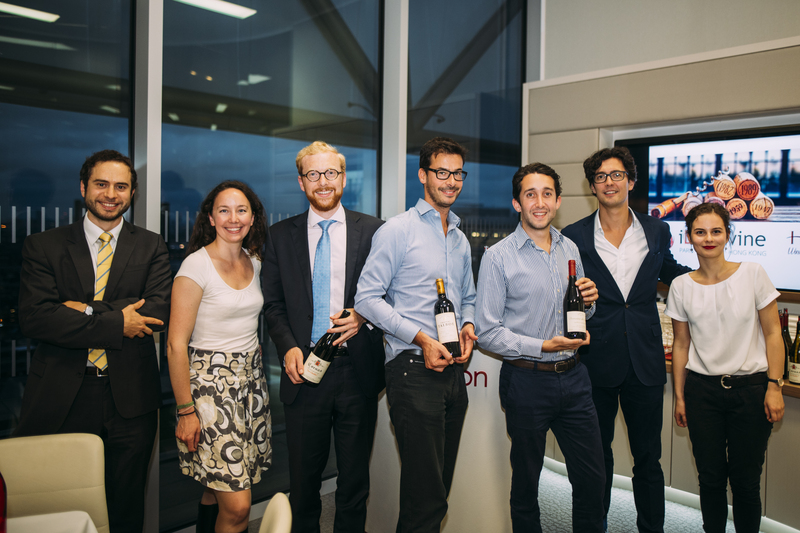 In 2016, Bordeaux represented 58% of the auction market in value, whereas during the first half-year of 2017, it accounts “only” for 46%, still leading, but less monopolising. During the first six months of 2017, the most expensive Bordeaux wines sold at auction were 12 bottles of Mouton 2000 sold for €17,640 and one Petrus 2012 for €4,800. Unfortunately sweet wines are not doing very well at the moment. They are closely linked to celebrations, Christmas, deserts and are not in tune with current low-carb and low-sugar lifestyle trends. Thus, not drunk very often. That’s why a growing number of domains also produce a dry white wine. However, this Barsac Château Coutet pleased everybody, perfectly balanced, lighter-bodied, certainly due to its 1988 vintage. This 75% Sémillon, 23% Sauvignon, 2% Muscadelle wine is creamy, with slight citrus notes, and honey. Château Coutet is one of the best sweet wines in Sauternes-Barsac, among Yquem, Guiraud, Fargues and Suduiraut. Unusual wine to finish the tasting before the more relaxed cocktail part of the evening, this fortified wine Rivesaltes Riveyrac comes from one of the oldest cooperative cellars in the Pyrénées-Orientales, in the south of France. Although, it already seems old, with a 1975 vintage, it has just entered in its peak years. So no worries, you still have a few years to savour this delicate wine. Nutty notes and a phenomenal persistence characterize this smooth wine, not too sweet. 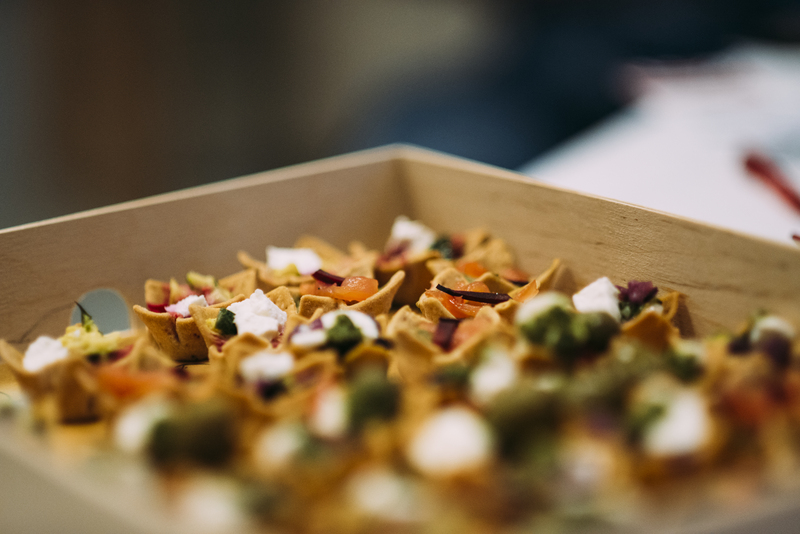 After a long and enriching masterclass, the evening ended with a lovely cocktail, underlined by Champagne Francis Boulard Brut Nature Blanc de Blanc and a few canapés. This 100% Chardonnay Champagne is certified organic and is fine and elegant. Although Champagne is still a premium beverage, with top prices at auction, like for example a magnum of Krug 1959 sold for €6,480 in November 2016, other sparkling wines are fiercely competing. Prosecco, Cava, English sparkling are more and more consumed and gaining both in quality and price. This masterclass took place in a very relaxed and pleasant atmosphere. 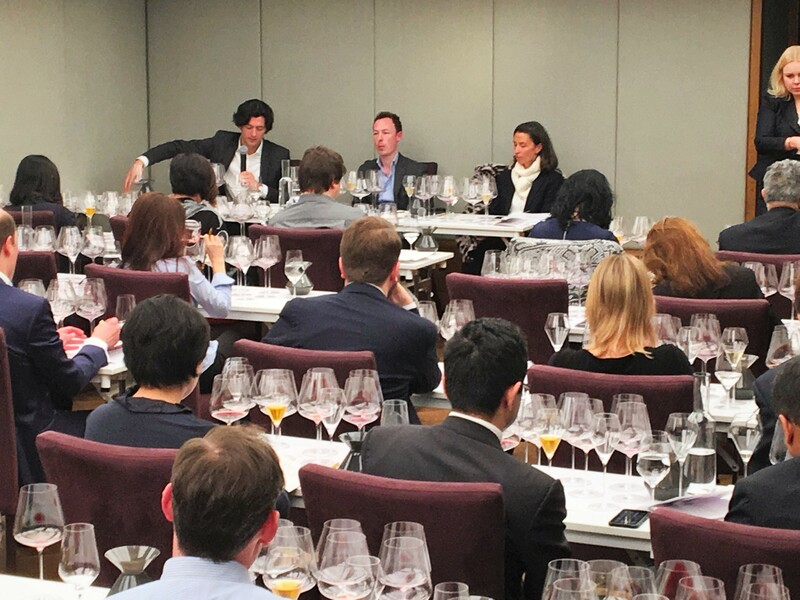 Therefore, we would like to thank all the participants, who widely contributed to interesting conversations and who did not hesitate to participate, ask questions and give their opinion, because wine is based on sharing, this masterclass was a success. 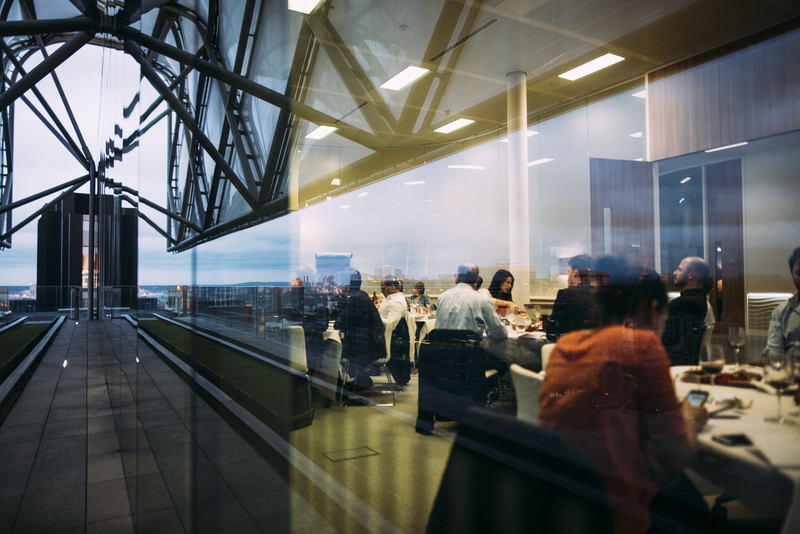 We would also like to thank warmly brownejacobson for the wonderful premises and HEC Wine Club UK, without which this masterclass would not have been possible. Whishing all of you lovely upcoming wine sharing with friends and family during the end of the summer.